This weekend, in a moment of weakness, I was struck by the idea that I had to have a piece of chocolate pudding pie. So I decided to make it myself. The crust was made by hand, with flour, ice-water and salted butter. For the filling I mixed cocoa, sugar, corn starch, vanilla, butter, and whole milk in a bowl and then microwaved it until it came to a slow boil. After baking my pie shell in the oven and filling it with the warm pudding I left it to set up in the fridge for several hours. I used heavy whipping cream, vanilla, and sugar for the topping, with just a touch of rum to help flavor it. Let me tell you that it was everything you would ever want a chocolate pudding pie to be! I had a generous slice with the whipped cream along with a hot cup of coffee. Not something that you would want to eat every day, at least if you valued your health, but offered as a punctuation of one’s life, a brief interlude of pleasure, a dessert, it was truly perfect. This meal cost me about six dollars and fifty cents to make. Most restaurants assume a thirty percent food cost and so you would expect to pay two dollars and seventy cents for a one eighth slice of this pie. The problem is you can’t find it at that price anywhere. 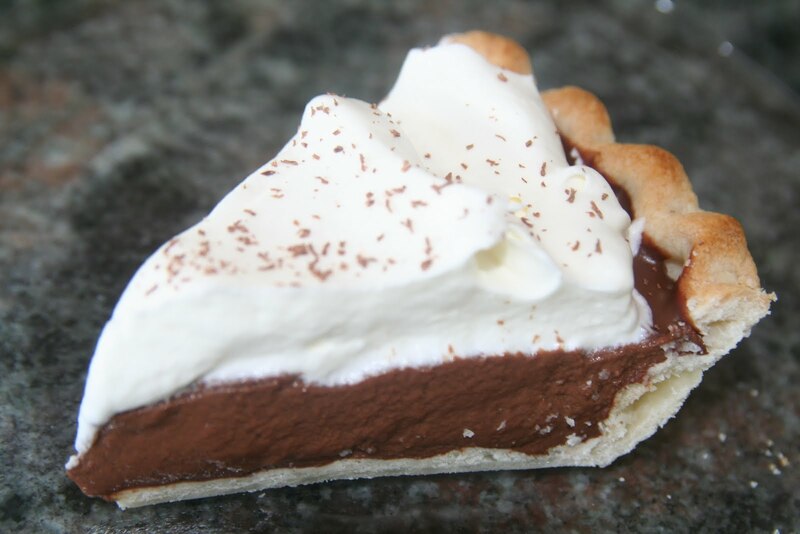 What you are offered instead is a poor imitation of the reality that is chocolate pudding pie, a chiffon filling with artificial flavor that is more air than anything else, and artificial toppings made of whipped oil instead of cream,. All this for about three dollars and fifty cents and that doesn’t include the coffee. The sad thing about it is that most people don’t realize that they are being served a cheap imitation. They like the way it tastes. A silly thing to be writing about, chocolate pudding pie. But I submit to you that so much of what we are being served up today by our suppliers, our corporations, our media and our government is so pervasively artificial that I am seriously considering what it might take to replace them with the genuine article. To begin with we would have to stop swallowing the stuff they are feeding us. Even if we often like the way it tastes. This entry was posted in Politics and tagged Chocolate Pudding Pie, Louis William Rose, Political Corruption, political posturing, propaganda. Bookmark the permalink.